Today I'm going introduce you the latest video tutorial how to make "SWEET PEA" silk flowers. Personally I love these exquisite, gorgeous and colorful beauties. ​With the exact color recipes of Professional liquid dyes you will be able to produce the same result as me. 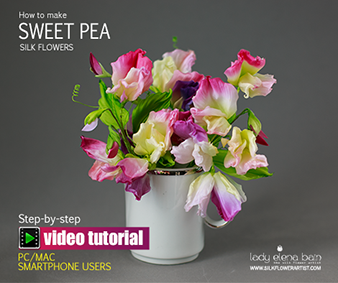 ​Get your copy of the video tutorial ""SWEET PEA"
and start creating within ​minutes! Make your first silk Sweet Pea TODAY ! 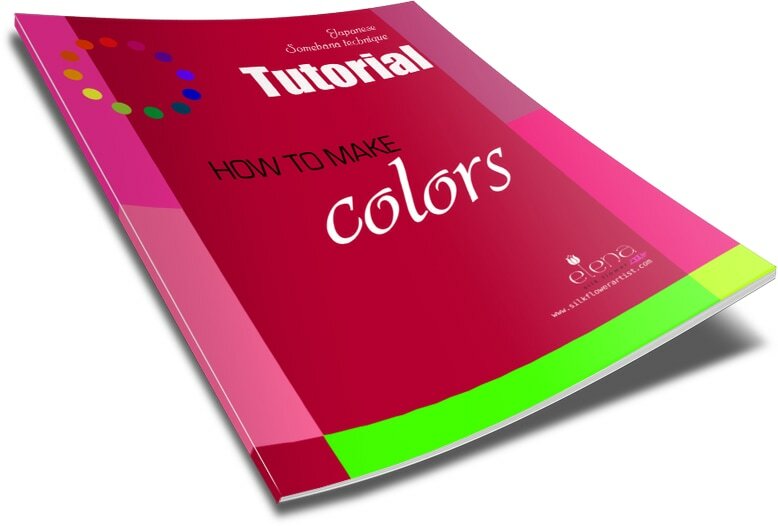 video tutorial "SWEET PEA"​ + BONUS PDF tutorial "COLORS"